The PSD file format, created by Adobe, contains graphics created by image editing software such as Adobe Photoshop and Photoshop Elements. 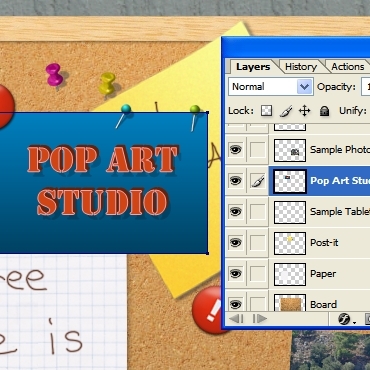 Pop Art Studio allows users to open, edit and save files and layers in Photoshop (PSD) format. Open a file in PSD format. The layers palette shows you the stacking order of the various layers in your document along with a thumbnail to help you identify each layer at a glance. Only a single layer can be edited at one time. The active layer will be highlighted in your layers palette. You can hide layers to help you focus on the layer that need to be edited or to allow you to work in multiple directions while not destroying any of your work. On the Layers palette, click on the checkbox next to the thumbnail to show or hide a layer or group. 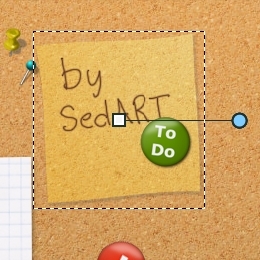 Next to the check box is the opacity slider for the layer. 100% opaque means that there is no transparency to the layer. 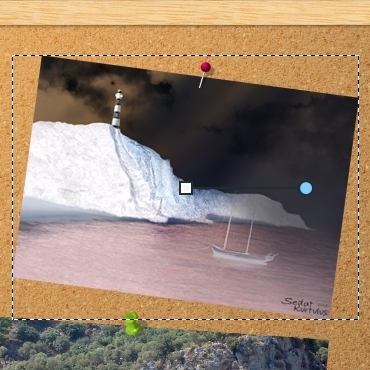 As you move the slider left, the layer will become more and more transparent until you get to the far left where the layer content disappears entirely. Each Photoshop layer becomes a 'floating image' in Pop Art Studio. The image is floating over its background and can be scaled, moved, and rotated. Move the selection to change the location of the floating image. 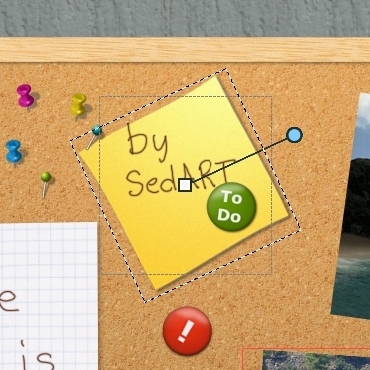 Change the size of the floating image by dragging one of the selection's edges or corners. Grab the small green circle and pull it around to rotate the floating image into any position desired. You can apply image effects to the floating image in the same way you do for the background layer or any other raster layer. In the example below, the colors of the image are inverted, but you can apply almost any effect to the floating image. You can add raster and vector layers, text, shapes, gradients, polygons, symmetric shapes and more. In the example below, a text is added to the image. 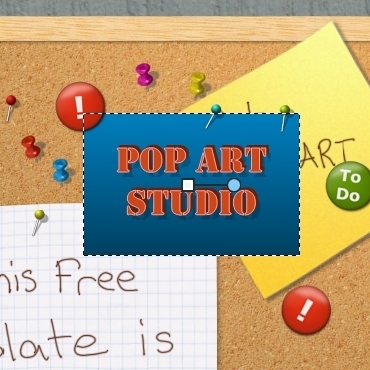 Save your image in Pop Art Studio format and preserve the vector information. If you choose to save your image in the PSD format, your layers will be saved as raster data, composed of pixels. 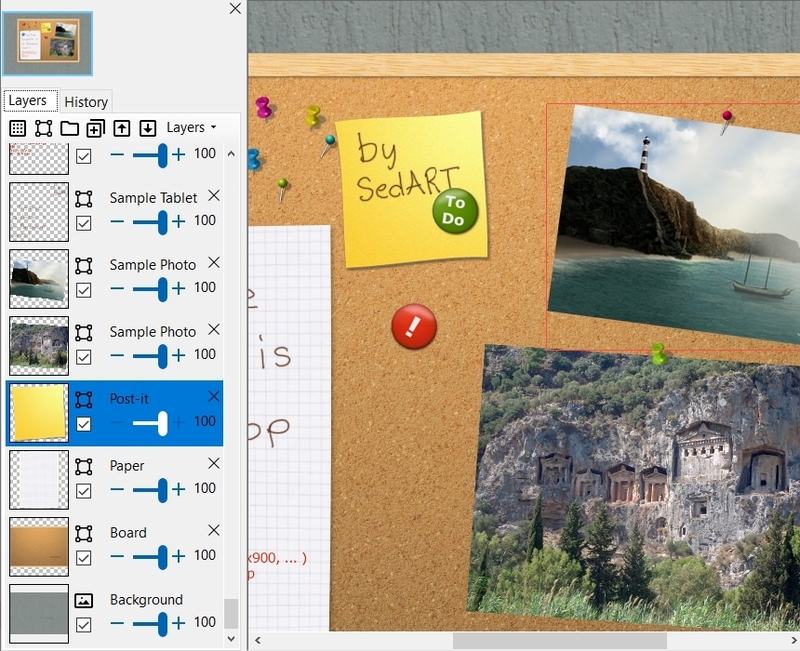 Now you can open and edit your Pop Art Studio document in Photoshop. For comments, questions and suggestions, please send email to: contact@fotoview.nl.